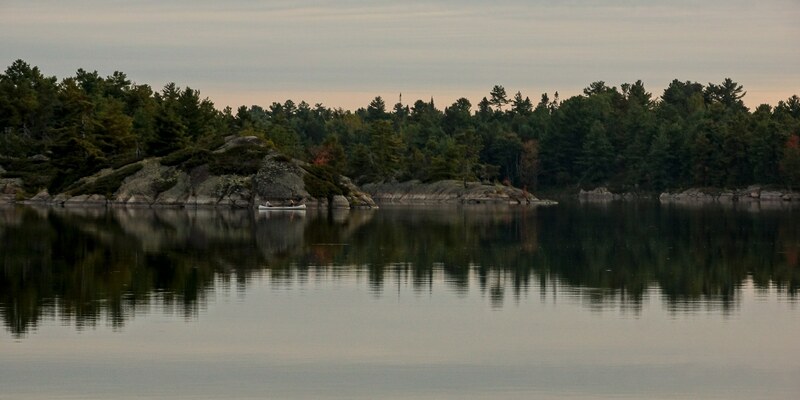 The French River Delta and the nearby off-shore islands of Georgian Bay are a part – the most scenic part – of Ontario’s French River Provincial Park. 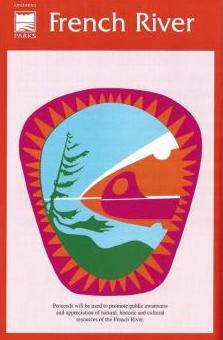 The Park was created in 1989 to protect and promote a river which was once an integral part of a water highway that stretched from Montreal to the Canadian Rockies via the Ottawa River, the Mattawa River, Lake Nipissing, the French River itself, and the Great Lakes to the west. Stretching 110 kilometers from the south side of Lake Nipissing to Georgian Bay, it was used as part of a trans-continental trade route by both Indigenous Peoples and, after 1615, by French and Canadien and (after 1763) British fur traders and missionaries. 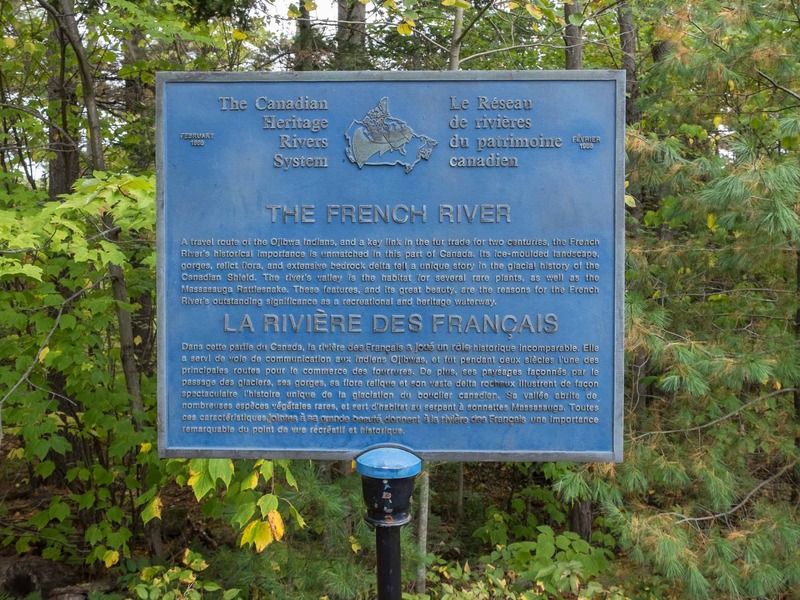 The river system’s integral connection with Canada’s early history meant that when the newly formed federal government program The Canadian Heritage Rivers System named its first river in 1986, it was the French River that was chosen. I had already paddled the upper French River a couple of times in the mid-1980’s – once with my wife Laila and another with my friend Cyril. On both occasions, we started off in Restoule Provincial Park and paddled down the Restoule River to where it meets the French. Both times we also headed south at Highway 69 and then paddled back up the Pickerel River system to a take-out at Port Loring. This September I finally got to see the river below Highway 69. The intervening years also meant that there was much more information out there to add to my understanding of any challenges presented by the river, as well as an appreciation of the history and the natural beauty of the area. 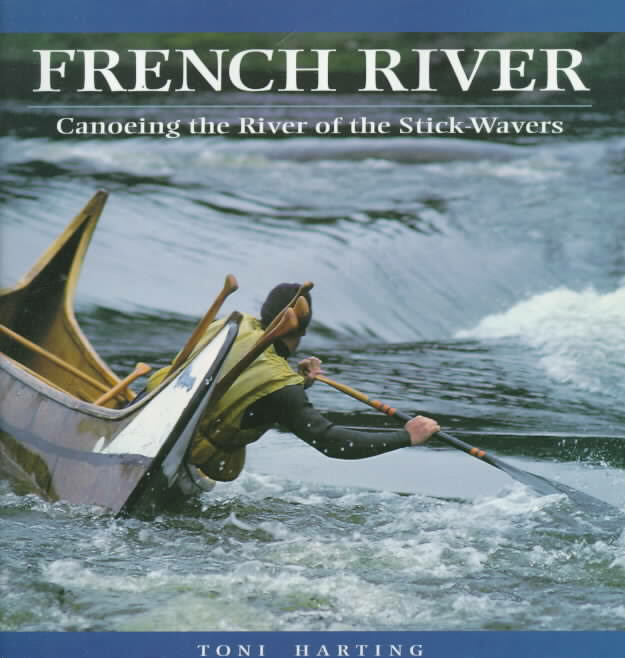 Toni Harting’s French River: Canoeing The River of the Stick Wavers (1996) was one great find; so too was the map put out by the Friends of French River. 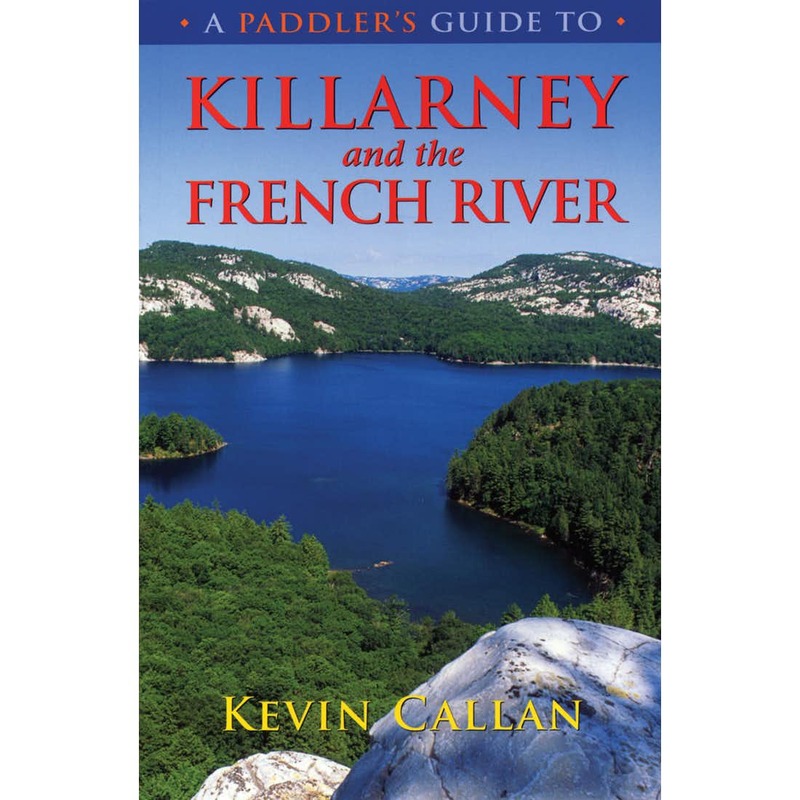 However, I am still waiting for my copy of Kevin Callan’s Killarney and the French River (2006) from the Toronto Public Library! I was hoping to read his account before the trip. I was #14 in the waiting line when I reserved the book in early August; it is now early October and I am eighth on the list! While my copy of his 1996 Up The Creek has a couple of pages on a figure-eight route from Hartley Bay, it will be interesting to see if he has updated and changed anything a decade later. 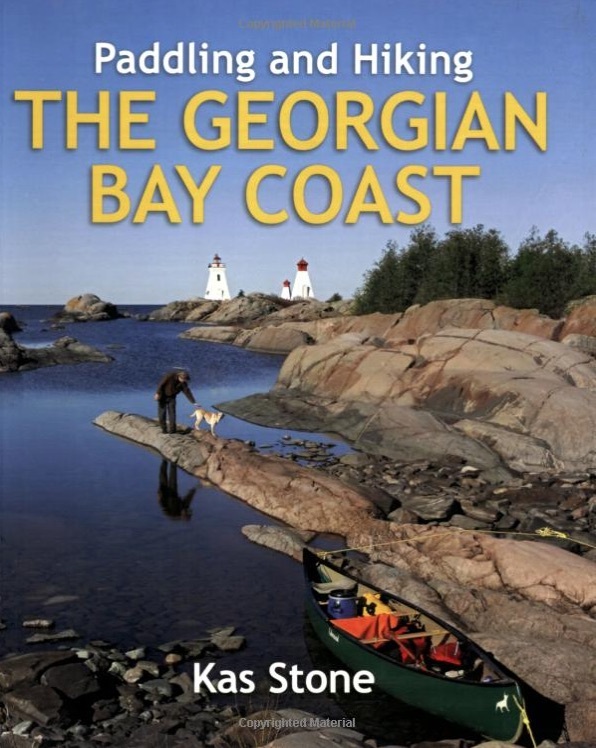 Kas Stone’s Paddling And Hiking The Georgian Bay Coast (2008) is an essential guidebook for anyone spending time on the G’Bay Coast. It is a well-researched combination of history and practical paddling advice, as well as having numerous detailed maps and some great colour photos. 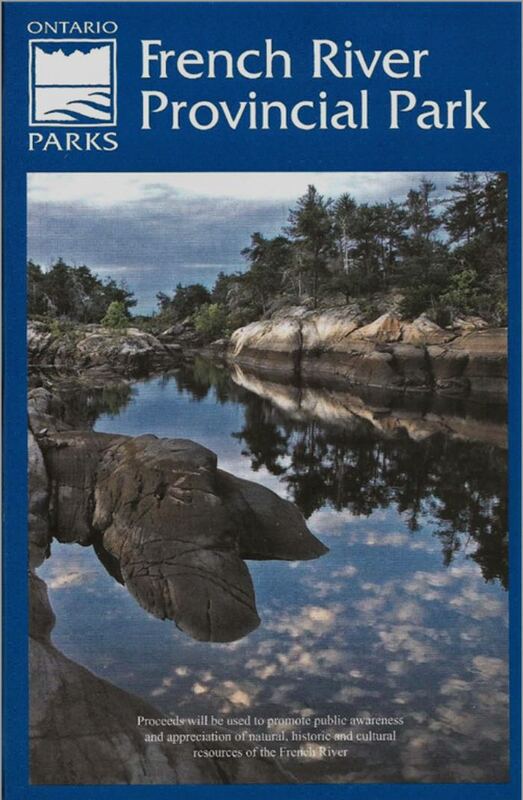 Earlier this summer I had gone through the book in preparation for our kayak trip down the coast from Killarney to Snug Harbour near Parry Sound. See chapter 6 – “The French River Delta And The Bustards”. Well, at least the put-in spot was certain! Hartley Bay Marina is at the end of a 14-kilometer gravel road from Highway 69. It is a 2 1/4 hour drive from downtown Toronto to Parry Sound and then north another 1 1/4 hours to get to the marina. We were going up on a Wednesday in late September so we knew it would be pretty quiet in the park. The plan: leave our car at the Marina for a week. The cost: $10. a day for parking + $10. for a canoe launch from their dock. Valet parking – no extra charge! 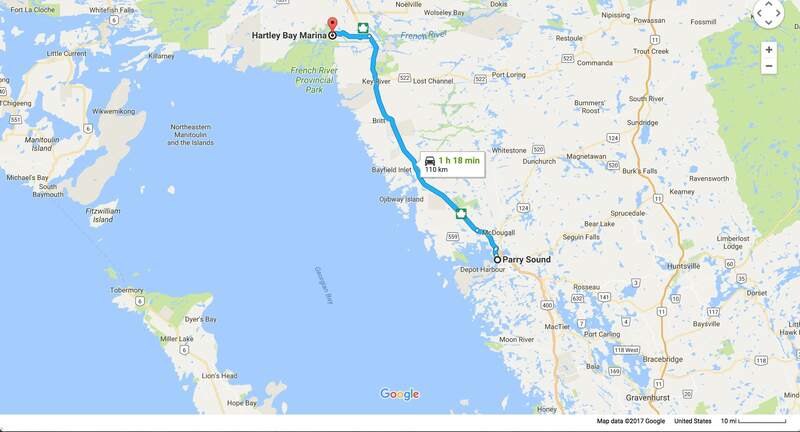 The Hartley Bay Marina put-in/take-out is the best choice if the French River delta is your goal; another option is the Key Marina Resort off Highway 69. However, it involves a 13-kilometer paddle down the Key River to get to Georgian Bay (and one you’ll have to redo on your return). Given the usual motorboat traffic on a Key River with no escape, it can become tedious in a hurry! Once you pass Key Harbour, you are at the far east end of the delta! Better to leave from Hartley Bay Marina – 13 kilometers brings you to The Elbow, the heart of the various French River channels to the Bay. Hartley Bay Marina also handles the park camping permits. I got the senior rate for six nights of “backcountry camping”; Max got to pay “regular”! We only stayed at designated campsites on this trip; we did note a number of spots where we would definitely have pitched our tent had it been later in the day. Our three favourite sites? Even the worst one – CS 624 on our first night – would be pretty good anywhere else! By the time we got to the Marina, our route had somehow been fleshed out. The 110-kilometer route indicated on the overview map above is what we came up with to hit all those spots listed above. The numbers 1 to 6 show where we camped at the end of each day. 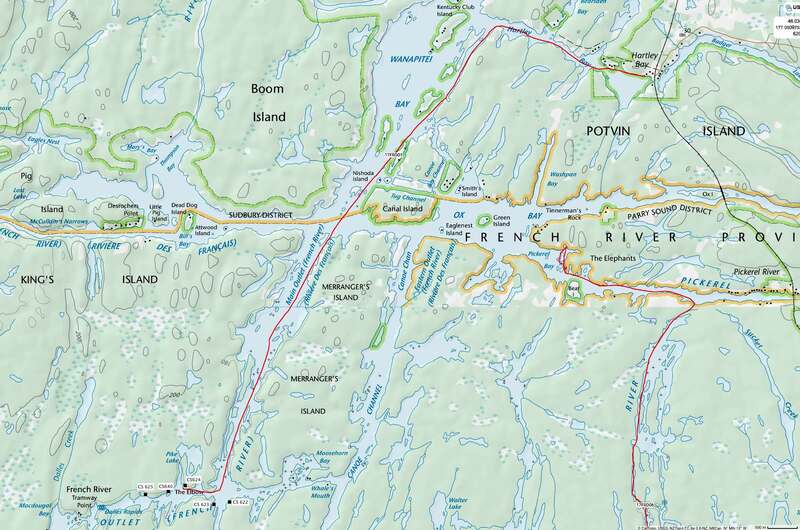 They were all designated French River Provincial Park campsites as shown on the map first published in 2006 by The Friends of French River volunteer group. My copy was the pink second edition from 2012 pictured here. The campsites are available on a “first come” basis with no need to pre-book as you do with other parks like Killarney. The waterproof map is not only a good investment; it provides the Friends with a bit of money to keep on doing their work. I still remember when we had a Provincial Government department taking care of parks and maintaining portages! We were able to make the route happen, thanks to very favourable wind and wave conditions. The paddle out to and back from the Bustards, for example, could not have been on calmer water. We also had a string of seven sunny days and occasionally complained about the lethargy induced by the stifling heat. It was July weather in late September! 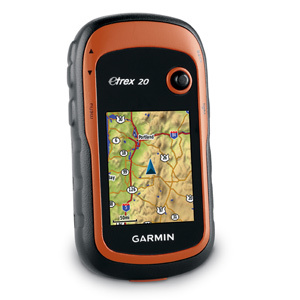 Along with our copy of the above map, we also had Max’s Garmin Etrex 20 GPS device with the Garmin Topo Canada 4.0 map set installed. There are times when the paper map just does not provide enough topo detail and the Etrex helped. I also brought along my iPhone 6 with David Crawshay’s Topo Canada app and the required topos installed. On a few occasions as we paddled through a maze of channels and islands, I fired it up to see where we were. I did not, however, leave it on all day; it would eat up battery like crazy compared to the Garmin device! Note: the Federal Government provides the maps for “free” but is no longer in the map printing business. Some entrepreneurs have stepped in and set up businesses to print the maps. Most are using a plastic material (Dupont’s Tyvek?) instead of paper and individual sheets cost $20. CDN or so. If the overall style of the map looks familiar, the reason is the involvement of Jeff McMurtie, who used to be with Jeff’s Maps! 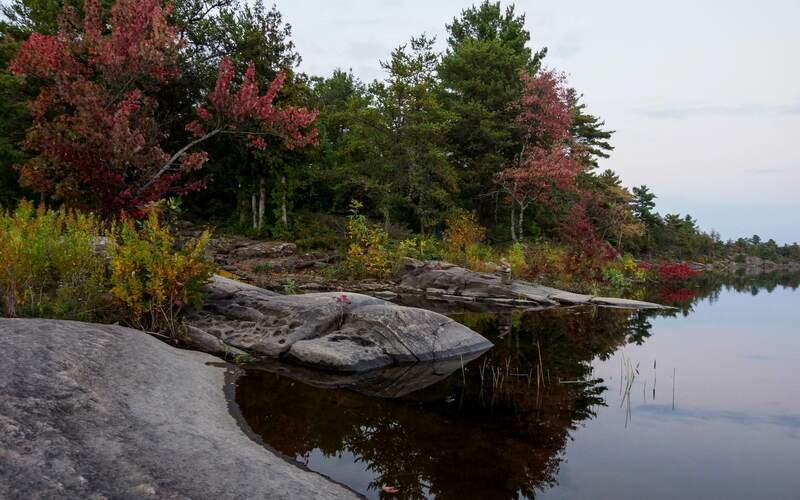 It has dozens of campsites indicated (probably taken from the Friends of French River map) and also provides historical and geological background on notable spots. 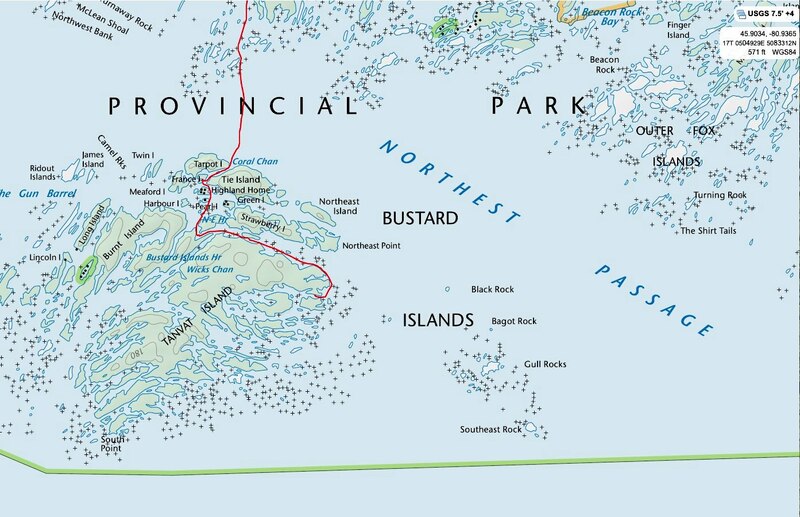 One caution – the 1:50000 NRC maps provide more accurate mapping of narrow channels and passages between islands. I wouldn’t rely just on the Unlostify map, as useful as it is. 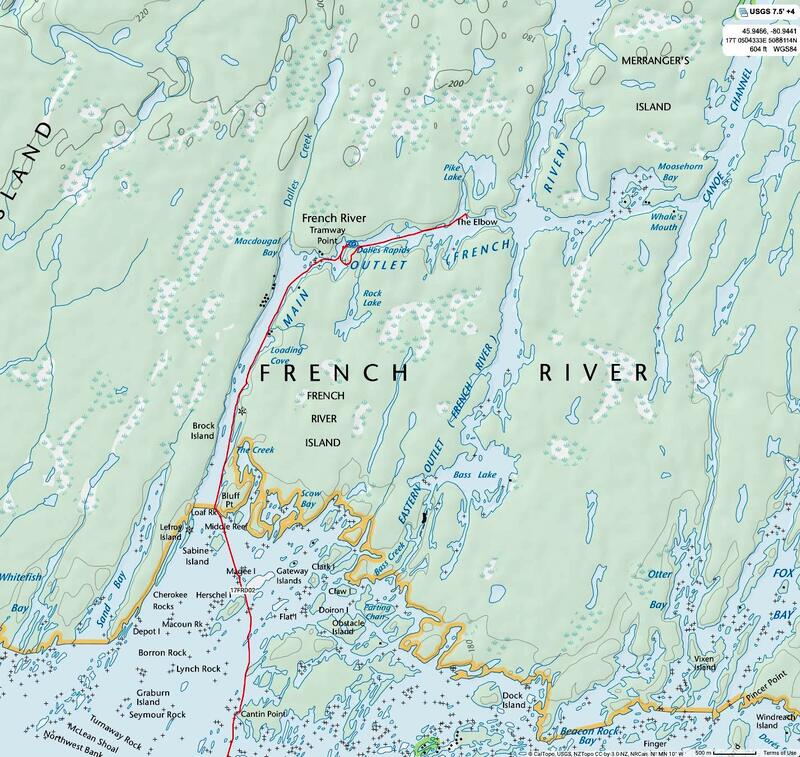 Given the map above, making a cell phone connection in the French River delta seems unlikely. 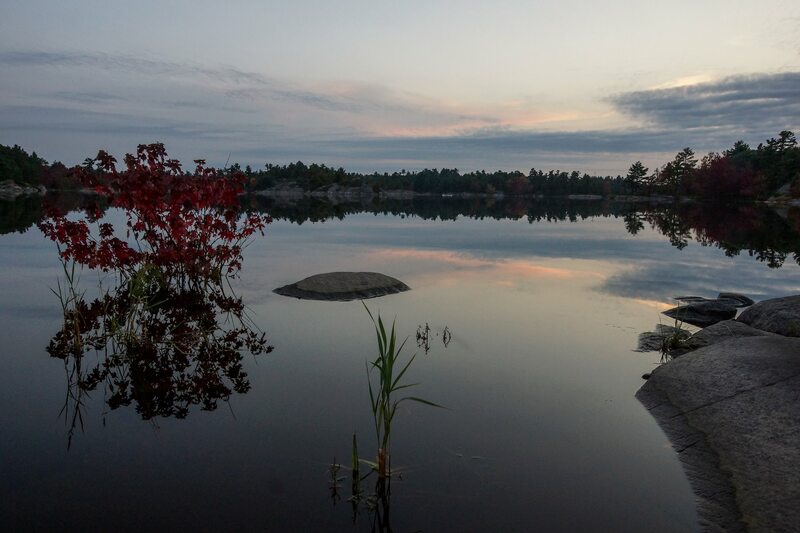 However, we were able to phone home from most of our campsites, especially those on Georgian Bay. time: 4:15 p.m.; finish 6:50 p.m..
We loaded the two Hooligan canoe packs and the two duffels and pushed off from the Hartley Bay Marina dock shortly after 4:00 p.m. While an earlier start would have been nice, we did have enough time before the 7 p.m. sunset to get closer to Georgian Bay. Our target was a designated tent site in The Elbow area. A Wednesday afternoon in late September would explain the lack of motorboat traffic. We saw maybe two during the 2 1/2 hours it took us to get to The Elbow junction. Given the poor review of CS 622 – too many badly placed “thunderboxes” (box toilets)! according to the person at the marina front desk – we left it off our list of possible tent spots. CS 624 with its southern exposure was where we ended up. As we reached the site we saw another canoe on the far shore; they were nearby campers out for an evening paddle. Out came the headlamps as we prepared our supper. We had cut it a bit close! We took very few pix this first afternoon, so intent were we on living up to the Albinger Bros. motto of gittin’ ‘er dun! In days to come, we would up the chill level and the photo count! The pix here would be among the few with the colour of deciduous tree leaves in them. The closer you get to the Bay the fewer maples and birches there are; the pines and cedars and spruces take over completely. Day 1 – with its 4 p.m. start – had been a bit of a rush. Still, we had managed to put in 13 kilometers. As we sat on the rock patio on the side of our tent spot and sipped on our post-supper whisky in the dark, we were already easing into that canoe trip groove. Day 2 with its great weather and eye-popping scenery would complete the transition. This entry was posted in Georgian Bay, wilderness canoe tripping and tagged French River Canoe Trip, French River delta canoeing, French River Provincial Park, French River The Elbow, French River topos, Friends of French River map, Hartley Bay Marina. Bookmark the permalink. Garry, you’ve got a gorgeous cedar strip that needs to be put in some water. “The French” is that water! Close to the big city and yet a world away. What an incredible treasure! I agree! 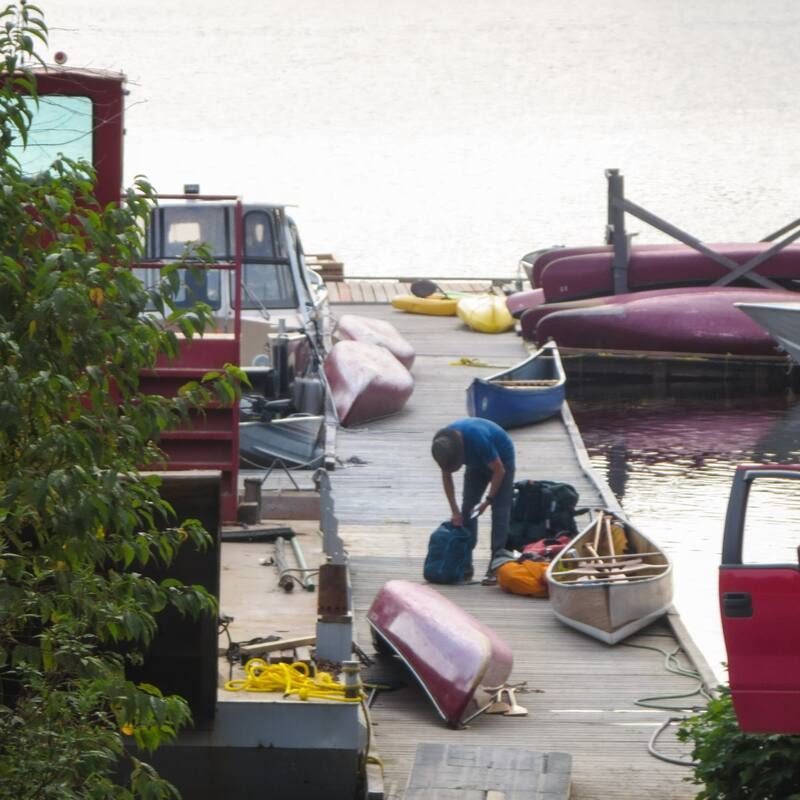 Canoe is ca 1976 and very well maintained by my Paget cousin…Jim. 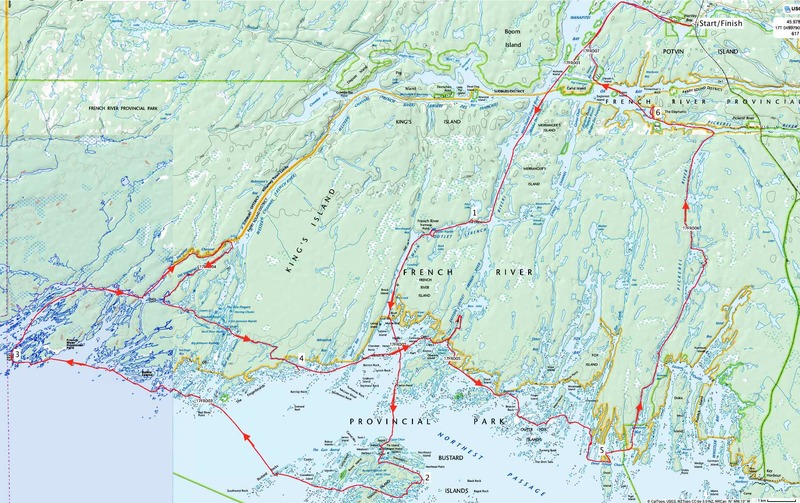 Very little portaging to do in the French River delta with a bit of route planning. That classic canoe would be ideal!